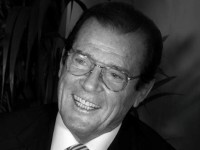 Award-winning Bond actor Sir Roger Moore has launched a public appeal to help Animal Defenders International fly 33 lions home to Africa. The big cats have endured years of brutality and confinement in circuses in Peru and Columbia but a perfect home has been found for them in their native Africa. The lions have led such tragic lives that it is not possible to return them to the wild. Almost all of were mutilated in the circus to remove their claws, one has lost an eye, another is almost blind, and many have smashed and broken teeth. ADI will be providing the lions with the next best thing to a life in the wild – retirement in huge natural bush enclosures under the African sun. Construction of the habitats at Emoya Big Cat Sanctuary is underway but the biggest challenge is getting the 33 lions there. ADI will be chartering a Boeing 747 to transport all 33 lions direct from Lima to Johannesburg, at a cost of £220,000 / R4.7 million. With the help of the public, we hope to get the lions home in time for Christmas. The Spirit of Freedom flight will be the culmination of our year long Operation Spirit of Freedom mission, working with the Governments of Peru and Colombia to eliminate the use of wild animals in circuses and tackle wildlife crime. Almost 100 animals have been rescued during the operation including bears, six species of monkeys, coati mundis, kinkajous, and a puma who have already been relocated back to their native habitats. The mission has been entirely funded by donations. All 33 lions have passed veterinary checks and been given microchipped ready for their flight to freedom.